Welcome to Northern Alberta’s premier destination spa and wellness centre! To inspire spa junkies of all ages to devote time to relaxation, rejuvenation, holistic healing and a healthier lifestyle. Support women, youth and wellness in our community (or in the community of Grande Prairie and region). Our natural environmental initiatives are aligned with like-minded anchor suppliers that do not test products on animals, and who are committed to reducing their carbon footprint in packaging and shipping. In the spa we have strict protocols for waste reduction and energy efficiency. 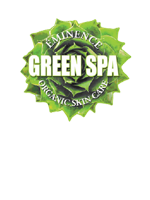 We are a certified Eminence Green Spa. We are dedicated to providing a wellness experience in an oasis that refreshes your body, calms your mind and soothes your soul. We have a high regard for quality assurance delivered by a skilled team of professionals who frequently advance their knowledge through advanced training and education. 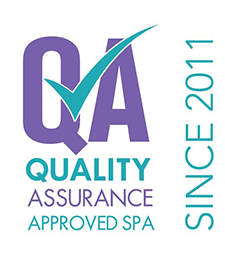 We believe in exemplary client service; building relationships with an individualistic approach to esthetic, wellness and holistic therapies helping to achieve stress reduction, better circulation and quality sleep; and enhancing self esteem by looking and feeling fabulous! We are passionate about our community and the power of giving. The L Spa has won several awards, and obtained numerous recognitions and certifications, making it a sought after spa experience for guests as well as a place of employment. GREEN SPA: We are a certified Eminence Green Spa, one of 8 in Alberta; one of 70 in Canada. 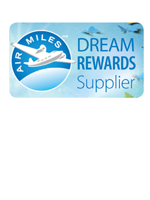 AIR MILES DREAM REWARDS SUPPLIER: AIR MILES COLLECTORS can redeem reward miles to indulge in one of three packages at The L. For full redemption details visit airmiles.ca. 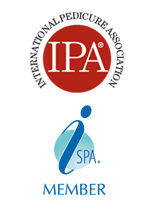 SERVICE RECOGNITION: Member of The International Pedicure Association; and certified member of The International Spa Association. 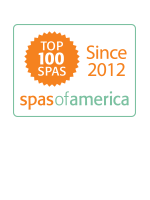 One of only 1000 spas worldwide showing commitment to superior standards and practices.